International experts are currently investigating the potential causes of the Russian passenger plane crash in Egypt’s Sinai Peninsula, as the uncertainty of conditions surrounding the loss of all 224 passengers on board of the flight continue to fuel widespread suspicions and presumed conclusions throughout international news sources. The Sinai tragedy received tremendous attention from the Russian media, in both state and privately owned outlets. The most common assumption for the cause of the catastrophic plane crash was that of technical failure in a plane that was 18 years old. On the other hand, alternative media outlet Slon.ru also investigated possible ISIS involvement triggered by Russian airstrikes in Syria. The latter version was strongly dismissed by officials in Moscow, whereas Egyptian authorities even called it propaganda designed to destabilize the region. State owned media outlet Vesti.ru followed the Kremlin in abstaining from any official version, instead arguing that it was too early to reach conclusion on the cause of the plane crash. Although U.S. officials indicated that intercepted communications did not contain a “smoking gun” pointing to terrorism, President Barack Obama still took the possibility of a bomb causing the Russian plane to crash “very seriously.” Media sources were quick to point out that he did not cite specific evidence, despite recent reports from American military officials supporting the occurrence of a mid-air explosion. Extending American coverage of Kremlin’s official releases presented the rhetoric of Russian officials downplaying the bomb theory. Several articles also observed that the Egyptian media actively floated conspiracy theories about American, Israeli or other plots to bring down the plane. Most articles also managed to critically connect considerations for the importance of Russia and Britain to Egypt’s recovering tourism sector. German media coverage of the passenger plane crash in Sinai has been intense. Concerning the reason of the tragedy, a shift in the media discourse could have been observed. During the first two days, the narrative of a technical defect prevailed in media channels, and the Sinai crash was put in the context of previous accidents with Russian airlines: “Mini Airlines are involved in accidents regularly: in 2011 a jet of the firm Jak-Service crashed in Yaroslavl, in 2013 a flight of the Tatarstan Airline. The flight license was taken away from both companies.” Soon emphasis shifted from technical deficiencies to the possibility of a terrorist attack, which suggested that the Russian plane came down following an on-board explosion. The topic also attracted huge attention from the Lithuanian media and produced numerous articles from a range of news sources. As observed in German media, Lithuanian outlets also demonstrated a visible twist in speculation to the cause of the plane accident. News sources immediately took over the narrative from the Western sources and argued that the plane was brought down by an explosion. Lithuanian media also suggested that V. Putin and the Kremlin strategically disregarded any media attempts to connect the Sinai plane crash with Russia’s airstrikes in Syria. 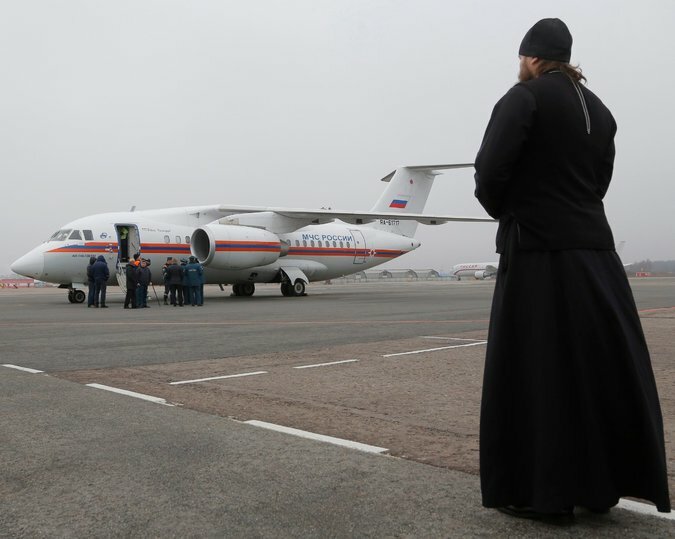 Delfi.lt explained that, if claims of the passenger plane being downed by a bomb explosion were to become commonly accepted, Russia would escalate active attacks on ISIS. However, Lithuanian media also speculated that V. Putin was concerned with the Russian society potentially raising another question – why did they have to get involved in Syria if this also led to civilian casualties. Estonian media showcased two diverging discourses in citing both Western and Russian sources. While the Western sources seemingly tried to push a version of terror attack, Russian media claimed that the cause of the Russian plane crash was caused by technical problems. 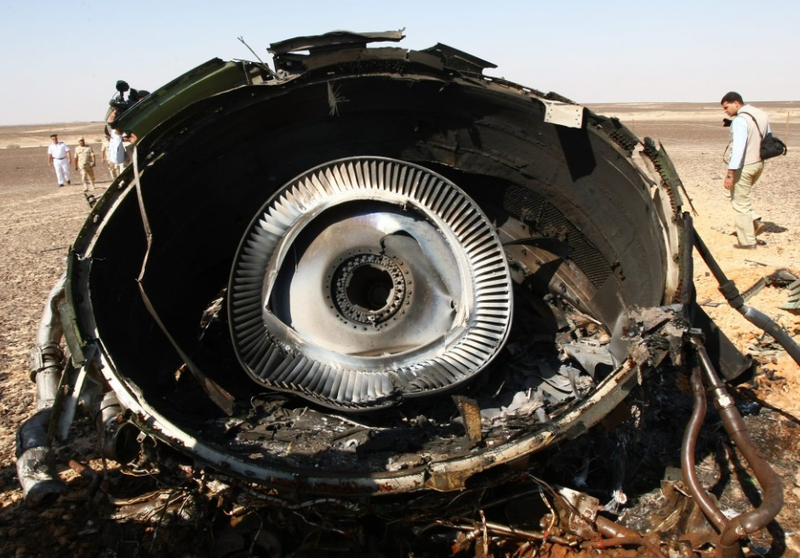 Initially the latter version was advocated by Delfi.ee and ERR.ee, with emphasis placed on technical deficiencies in the crashed aircraft like previous damage in the tail section of the plane, faulty fuel equipment, and other issues with other Metrojet planes. On the other hand, another popular Estonian media outlet Postimees cited Russian sources evidently less often, instead focusing on the versions related to external factors causing the plane crash. While American media quickly committed to the “bomb theory” in the Sinai tragedy, official Russian outlets appeared to be far more reluctant in introducing elements of terrorism to the mainstream narrative. As observed in previous comparative media reports, there appears to again be a considerable discrepancy between the state and private owned Russian media outlets, with the alternative sources more closely adhering to the Western discourse. In the case of European media, mainstream news sources displayed a more complicated shift of emphasis from theories of technical failure to more elaborate considerations of terrorist involvement.